Finland holiday cottage. Holiday Club Saariselkä Superior Apartments is set in Saariselka and offers modern apartments with a full kitchen, dining area and a private sauna. Free parking and WiFi are available. Each apartment comes with a flat-screen TV and a seating area. 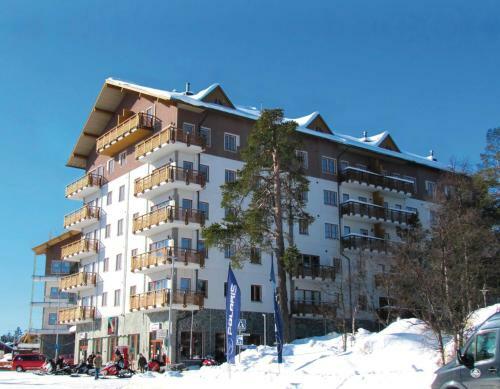 All units at Holiday Club Saariselkä Superior Apartments have air conditioning and a private bathroom. Holiday Club's restaurant Rakka offers traditional Lapland cuisine, pizzas and burgers. There is also an Angry Birds activity park on site. The on-site spa features a sauna, hot tub and indoor swimming pool. A variety of popular activities are available in the area around the property, including skiing and cycling. Saariselkä's slopes are just 1.6 km away. The nearest airport is Ivalo Airport, 28 km away from the property.